When a historic building is open to the public, it is important that lighting meets all regulations without detracting from the visual splendour of the environment. Those were the twin challenges we faced at the magnificent Royal Courts of Justice, where we were commissioned by consultants Mott MacDonald to create emergency lighting for the building’s celebrated Great Hall. 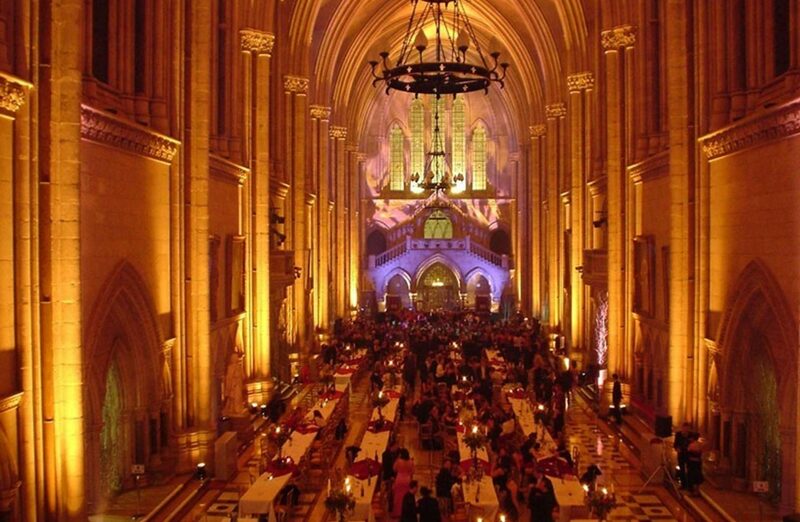 The Great Hall is used as a spectacular venue for a wide range of national and international events and is renowned for its beautiful mosaic marble floors, stunning stained glass windows – and imposing lighting. We had previously worked on the original corona ring chandeliers that hang from the ceiling, some eighty feet from the ground. Our team suggested that a circle fitting should be manufactured to sit inside the corona rings to hold the driver and battery packs required to power LED lighting for use in emergencies. This solution provides high light levels, while being virtually invisible from the ground.